At every show that you play, make sure you actually say your band name during the set, and say it frequently. If you're faced with an awkward silence, this is a great time to repeat your name and hometown. Believe it or not, I've seen bands that never once mention their name, requiring any interested listeners to hunt for a show flyer in order to figure it out. This has been a big problem for me over the years as a live music consumer. There have been numerous occasions where I've seen an opening band that I've totally loved, only to completely forget their name by the next day. This was most often the result of them only saying their name once or twice (at the beginning and end of their set) and not having any sort of merch with their name on it that they could display throughout the night. Live shows are one of the best tools you have to grow your audience, but they won't mean anything if nobody knows where to look for you once the night has ended. If you're faced with dead air during your set, you should take some time to introduce the members in the band as well. This is a great way to engage with your audience and will help them get to know you better. Transform that uncomfortable silence into an opportunity to make your audience aware of things that you have going on. Plug any merchandise that you're selling that night, and if you have special deals on shirts or CDs, mention it onstage, as it might be difficult for potential buyers to notice the prices and deals if they don't take the time to walk straight up to the merch booth. Make the people in attendance aware of any upcoming performances or releases as well. Even though you're probably posting frequently on social media about your upcoming album or show, it really helps to cement the date in the brains of your fans if they can hear you say it to them in person. Make sure to mention your email list, where fans will be able to follow all of your upcoming events more closely. Finally, tell those in attendance where they can follow you online. Keep a small sign with your website URL, as well as links to any social media, at the merch booth. A popular new technique that many touring bands are using to connect with fans is the "stage selfie," which involves turning around onstage and taking a picture of yourself with the people in the first few rows. At that point, they can go on their social media and tag themselves, which spreads that piece of content to an even wider audience. Granted, promoting yourself onstage can be an awkward situation in itself for shyer musicians. But as long as you're brief and authentic, it's easy to self-promote without sounding pushy. You don't need to totally sell yourself from the stage; your music and interaction with the crowd should do that naturally. Simply acknowledging that you have merch, a website, upcoming performances, and letting people know where to find all of these things will definitely suffice for any parties that take a liking to your sound. Having personal stories to share onstage is another great way to fill time. Even if the stories aren't anything particularly significant or meaningful, talking about the little things that go on in your life is a great way to break down the fourth wall and connect with your audience. If you're playing somewhere outside your hometown, you can score some major bonus points with attendees by relating your onstage stories to their locale. Talk about the restaurant where you ate lunch, the record store you visited earlier in the day, or a funny experience you had on the street. Hearing a unique story about their town will make it obvious that you're genuine and not just repeating the same tired script every night. Plenty of bands choose to tell jokes as well. Having an element of humor, whether it be in the stories you tell or one-liners that you happen to pull out during technical difficulties, can certainly liven up the mood. Again, the more you can relate the jokes to the town that you're in, the more likely it will be that you're received warmly. 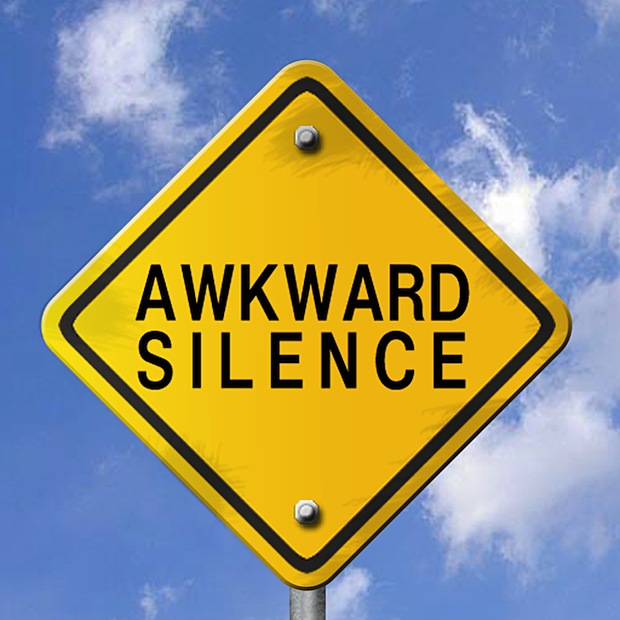 Awkward silences are a great time to say the thank-yous that need to be said every night. The venue staff and headliners were gracious enough to have you and are definitely worthy of your praise. Remember that most of the crowd is probably attending to see whoever is headlining that night. Be sure to acknowledge them and thank them for letting you be on the bill. It's your job as an opening act to pump up the crowd and get them excited for the main attraction. Try to get a little familiar with their music prior to the show, if possible, and mention a favorite track of theirs or your favorite things about them. The headlining band will no doubt appreciate your enthusiasm and will hopefully remember it for a long time. And of course, it goes the other way too – if you're the headliner, show some love to your supporting acts! Don't forget to thank the venue staff as well. If you know the names of the sound engineer, promoter, and club owner or manager, be sure to mention them by name and thank them individually while onstage (in addition to thanking them personally after the set). Being gracious to the club and nice to its staff is one of the most surefire ways to secure return bookings. The music biz is a very small world, and if you're gracious guests, word will travel quickly.